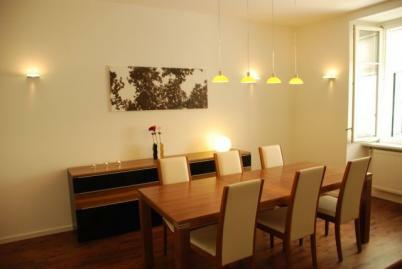 The Vienna City Center Apartment is a spacious, air-conditioned, fully furnished one bedroom apartment, and offers a variety of services including free broadband Internet connection. Located in the heart of Vienna, it is just a stone�s throw away from cultural treasures, shopping, theatres, and a multitude of other attractions. With easy access to tourist attractions and the business center, the Vienna City Center apartment is the perfect place to spend a holiday, as well as a business trip.